The FMB Under 20 Youth league is developmental football competition sponsored by FMB Bank as the main financier with FAM subsidizing other expenses. It was launched in 2010 and played in three cities namely Blantyre, Lilongwe and Mzuzu. The two top teams from each region qualified for the national finals. In 2013 three more centers i.e. Zomba in the South, Nkhatabay in the North and Dedza in the Centre were added.. In 2015 with sponsorship package increased from K10 million to K20 million three more centers were added to make it a league of nine districts. The new districts are Mangochi in the South, Mchinji in the Centre and Karonga in the North . After the centers stage the champions of centre fight for regional honours with regional champions qualifying for the national final. 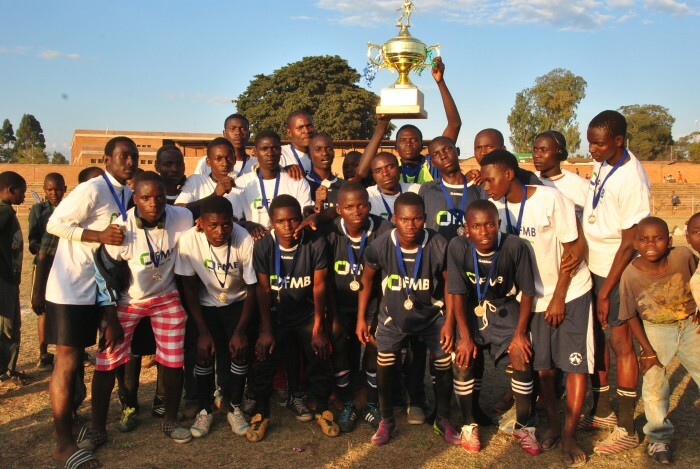 Dedza Young Police are the defending champions after beating Mangochi 3-2 in an exiting 2015 final payed at the Zomba Community Centre ground on 18th November 2015. From the 2016 season each Super League Team has an under 20 team in the FMB League. The 2016 national finals are slated for November in Nkhatabay.